Most of us have heard the old Greek myth: The goddess Persephone gets tricked into eating some pomegranate seeds given to her by Hades, the god of the dead. As a result, she is forced to spend four months of every year trapped in the underworld. 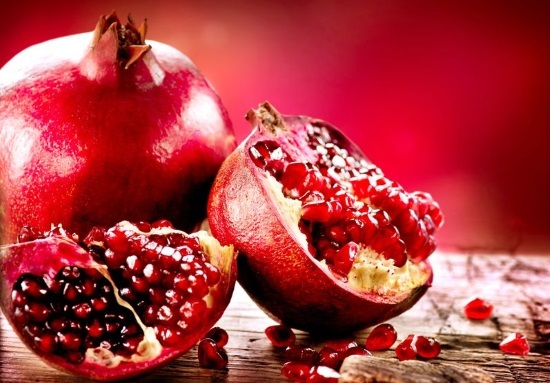 But while Persephone’s experience with pomegranates may have been less-than positive, for most of us, those flavorful little seeds are actually amazingly healthy food-choices. How so? Read on and see. The polyphenol antioxidants found in pomegranates aid in bone formation and regeneration, leading to stronger bones and reduced risk of bone degeneration. They also help prevent cartilage damage and degeneration. Iron deficiency is the most common nutritional deficiency in the United States. Those whose diets are lacking in sufficient iron become anemic, and often find that they have trouble remaining alert and focused. Pomegranates are incredibly high in iron, making them an obvious addition to any diet. 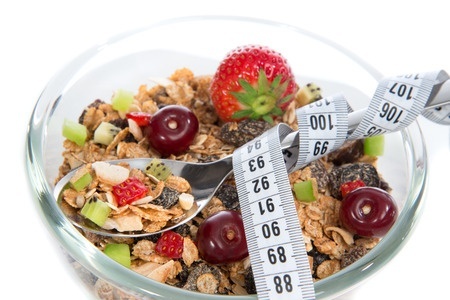 A high-fiber diet is perhaps the most important factor in feeling satisfied longer and combating cravings. Pomegranate seeds, despite being very small, are absolutely loaded with fiber. This means that those who eat them regularly are less likely to over-eat in other areas, which makes them perfect for those who are trying to lose weight. Advanced glycation endproducts (AGEs) are a product of foods that are prepared at high temperatures, and have been shown to play a part in the development of diabetes. Pomegranate juice combats glycation, inhibiting it by as much as 98%. When plaque forms in arteries, it can result in serious cardiovascular complications. 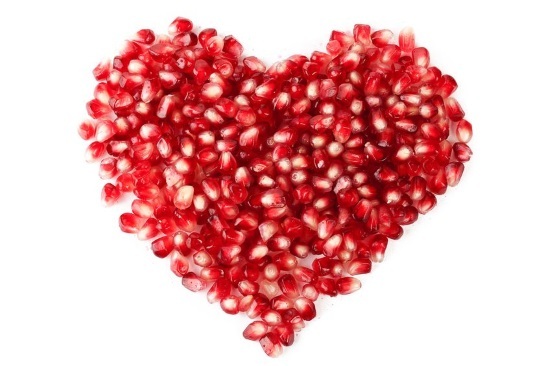 Studies have shown that pomegranate seeds can actually slow, or even reverse arterial plaque-growth. They can also act as blood thinners, lowering systolic blood pressure in the process, and can prevent arteries from becoming stiff. Everyone knows that vitamin C is essential for maintaining a strong immune system, but not everyone understands just how much vitamin C is found in pomegranate seeds. A single serving of raw pomegranate seeds (282 g) supplies 48% of the daily recommended value of vitamin C, which makes them the perfect snack for cold and flu season. Free radicals are atoms with unpaired electrons. These atoms interact with other atoms, causing damage to the body’s cells, as well as its basic DNA structure. Antioxidants are molecules that can safely diffuse free radicals before they can do any harm. Pomegranate seeds are rich in antioxidants, which means that those who eat them are actually protecting themselves from free-radical damage. A correlation has be suggested between consuming pomegranate juice and having an increased appetite. And while this may not seem like a good thing for those of us who want to drop a few pounds, for dangerously underweight individuals or children, it can make a big difference. A glass of pomegranate juice with a meal can lead to more food intake, and more energy in the long-run. Those antioxidants in the pomegranate seeds may also deter cell proliferation. In fact, there’s even evidence suggesting that they have the ability to kill cancer cells outright, preventing cancer from being able to gain any sort of foothold. 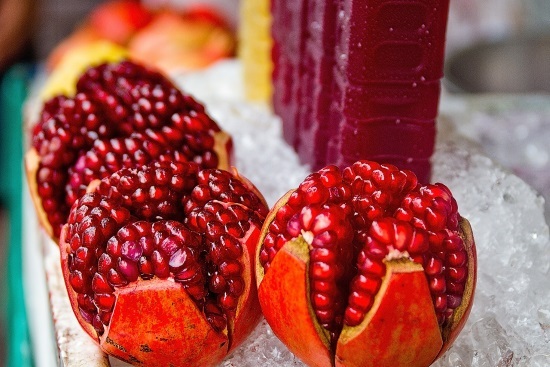 With all of these health benefits inherent in pomegranates, what’s the end result? How about prolonged years and increased quality of life! After all, if you can wipe out free radicals, keep a healthy weight, maintain strong bones, and avoid illness, then you’ll be able to feel young and strong well into your golden years. Hmm. Not too shabby for a fruit best known for trapping a goddess in the underworld. Thank you so much for sharing such helpful tips. It’s very useful for me to improve health.